One of the questions you’ll probably always ask every time you call your kid in college is, “are you getting enough to eat?” They will always answer yes but you know better, right? You can make it easy for them by providing them with microwave cookware. There are big 20-ounce cups with a vented lid that make a perfect way to cook soup and noodles. There are also miniature ceramic casserole dishes or large coffee mugs design for microwave use. Your kid might not realize how much they depended on you to keep the cupboards full. You can continue that important work by sending them bunches of single serve soups, mac & cheese or oatmeal. It’s almost as if these items were designed specifically for dorm life. It won’t be long before your kid comes back with a list of preferences! Refilling their own water bottle over semester is going to save them big time. Many stainless steel bottles will keep water Cole on warm days or coffee piping hot on cold ones. This is a great thing especially if you have a kid who is on a sports team. It’s much easier to fill it up from a water cooler are found then buying a bottle of water every time they are thirsty. Yes, you will still be giving your kid money throughout their college career. It just comes with the territory. But you can make it easy on yourself by sending them gift cards. These can either be gift cards for their favorite coffee shop or restaurant or they can be Visa if cards that they can spend wherever they need. Every grocery store has gift cards so that makes picking them up a breeze. Once you’ve taken care of sending off the care package, you can re-focus your efforts on getting your home organized. This is a perfect opportunity to finally toss out all the clutter that has accumulated over the years. For that task, you want to call in Junk King Minneapolis. They’ll provide you with a capable team of movers and a huge truck. 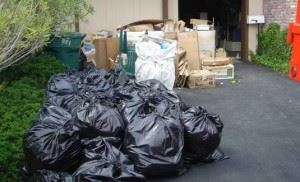 That’s just what you need to get rid of furniture, appliances, clothing and other household goods. The home will be the same without your college kid around but it can certainly be free of clutter thanks to Junk King Minneapolis. This entry was posted in Junk King Minneapolis and tagged clutter, college, rubbish on August 31, 2017 by Junk King. Last updated August 31, 2017 .